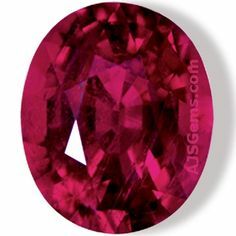 The Gemstone is a Gem that actually appears to be a circular ball, the size resembles a "softball" in comparison. The entire thing is clear colored red, with what appears to be black hazes inside it, which swirls around if you look at it in your hand. The Gemstone was said to be forged when the heroes of Havenstone defeated Abaddon in the battle over the Kingdom's souls. The Gemstone was designed so that the user could look through it on a map of the kingdom and reveal where the pieces of the hand of Abaddon were located. In the hands of an experienced user, the gem could pinpoint the location down to an exact point on the map, down to the exact town, but the gem will glow slightly as it gets closer to item. The item does have a safety precaution designed for it so that if someone unfamiliar or one of the Red Hand were to get a hold of it, it will show various locations on the map along side the real locations to confuse the user. Unless the user has a wisdom of 14 or higher, he will have to save vs madness. A failed save will result in the character becoming insane with madness, for 1 day. This madness will not allow the character to think straight and act impulsively on all actions. Often talking to oneself aloud carrying on conversations with literally no one and constantly flailing their arms around in the air as if shooing away annoying flies that are biting them. Repeated usage will also cause the user to make this very saving throwing (more then once a weeks time). Should the user make the save he would not need another save, for another 2 uses and then from their it would move up to 4 uses. From there no more saves would be required. Should the magic phrase be spoken aloud, all saves would be waived and true locations would be shown when viewing on the map. Sadly this phrase was only known by the Heroes of Havenstone and has been lost due to time, short of a wish or a God, it could not be recovered.